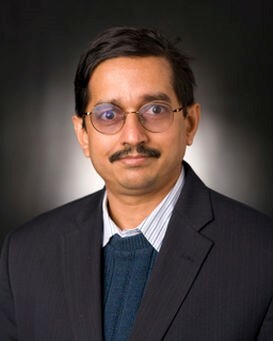 Vijay Narayanan is a Distinguished Professor of Computer Science & Engineering and Electrical Engineering at the Pennsylvania State University. Vijay received his Bachelors in Computer Science & Engineering from University of Madras, India in 1993 and his Ph.D. in Computer Science & Engineering from the University of South Florida, USA, in 1998. He is a co-director of the Microsystems Design Lab. His research and teaching interests are in Power Aware Computing, Computer Architecture Embedded Systems, Design and Design Automation of Electronic Systems. He is a fellow of ACM and IEEE and leads the Architecture, Benchmarking and Circuits Thrust in the DARPA/SRC LEAST Center, through which he works with device experts in designing new circuits and system using emerging devices. J. P. Sustersic, B. Wyble, S. Advani, V. Narayanan. Towards a unified multiresolution vision model for autonomous ground robots. Robotics and Autonomous Systems 75: 221-232 (2016). V. Saripalli, S. Datta, and V. Narayanan. August 2008. Ultra Low Power Signal Processing Architectures enabling Next-Generation BioSensing and Biomimetic System. Proceedings of the IEEE Biomedical Circuits and Systems Conference. H. Moon, K. Irick, V. Narayanan, R. Sharma, N. Jung. April 24, 2012, Apparatus and method for measuring audience data from image stream using dynamically-configurable hardware architecture, US Patent 8165386. N. Shukla, A. Parihar, M. Cotter, M. Barth, X. Li, N. Chandramoorthy, D. G. Schlom, V. Narayanan, A. Raychowdhury and S. Datta, "Pairwise coupled hybrid vanadium dioxide-MOSFET (HVFET) oscillators for non-boolean associative computing," Proceedings of the IEEE International Electron Devices Meeting (IEDM 2014).